Online courses have an integral role in the Mustang Maddy Academy. The academy courses are built to be the closest in similarity to actually attending a live training clinic or workshop. Courses are broken down into 6-10 modules (depending on the course) with lessons in each module to create an organized, step-by-step, and non-intimidating presentation of the information and exercises. The range of courses offered will continue to expand, so keep checking back to see what’s coming next! 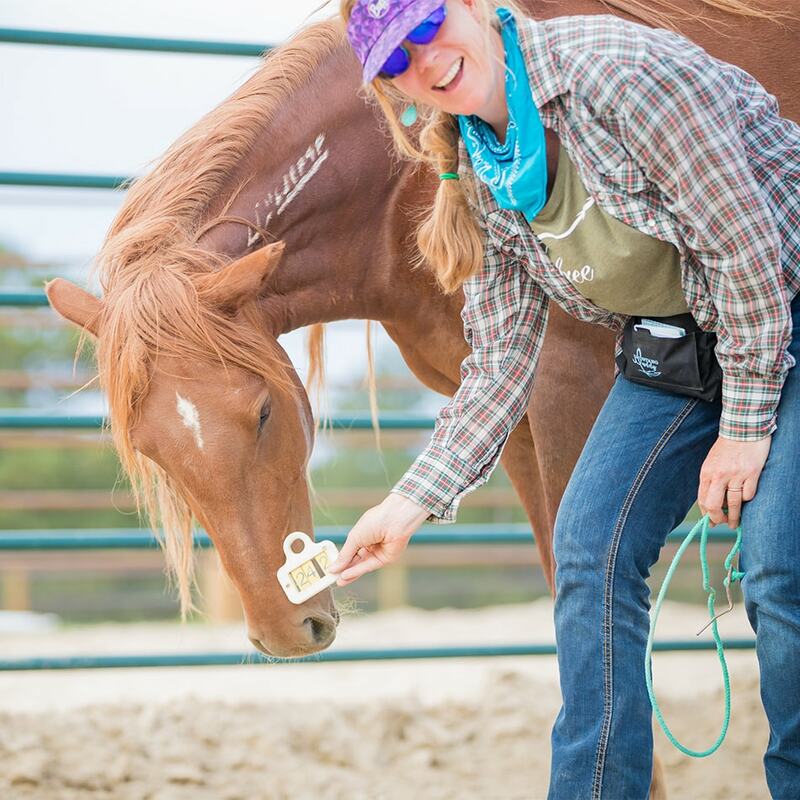 My 5 Golden Rules to Horse-Human Connection serves as the foundation behind how we can approach every scenario with horses in a way that honors their free will, fears, instincts, and learning patterns. Whether you are gentling a wild mustang or asking for a flying lead change, these 5 principles are the formula behind teaching or problem solving any behavior. If you’ve been searching for a way to motivate your horse using less pressure, increase his enjoyment for training, overcome fear, or become more engaged, this course is for you! Positive reinforcement (food reward) training is an extremely effective tool if we learn the process of implementing it properly. 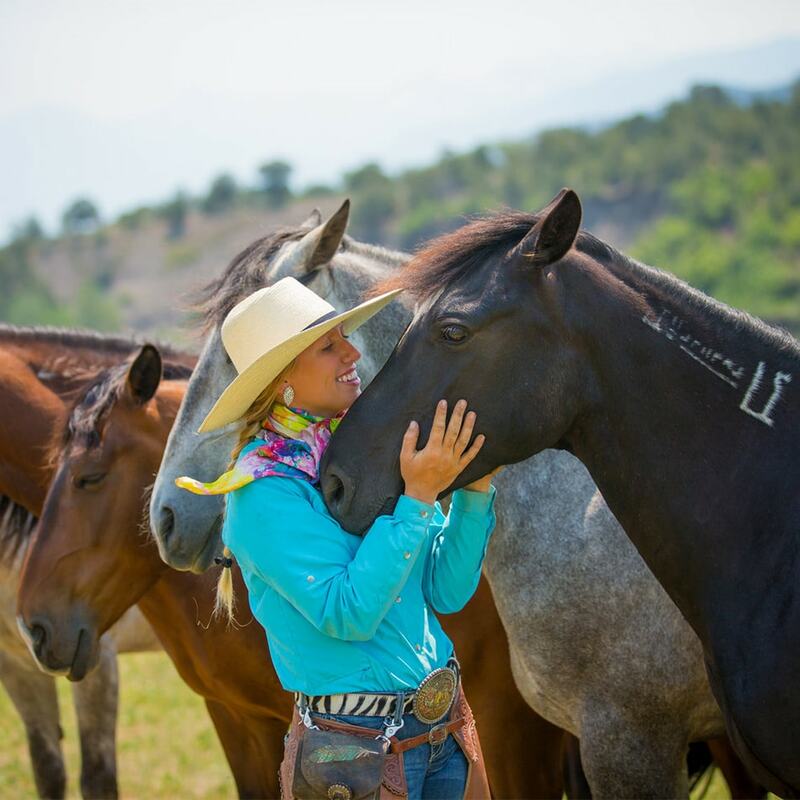 Let me walk you through that process and help transform the relationship you have with your horse! In this course, learn a safe, effective, and humane way of gentling horses without flooding, trauma, or force. 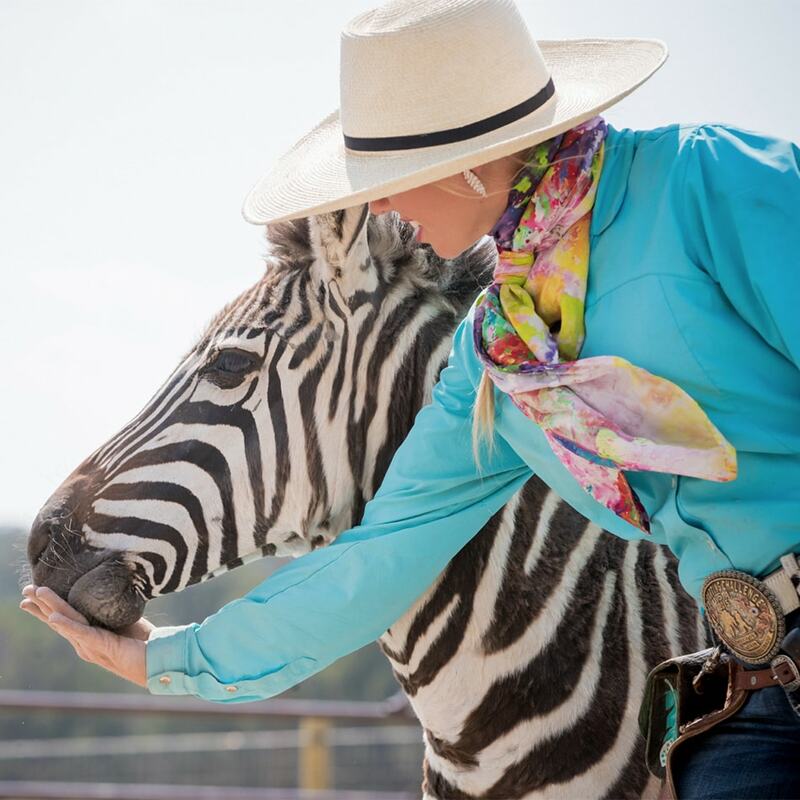 Students will learn how to achieve first touches, basic body communication, trust building exercises, teaching to halter and lead, trailer loading, and handling of the feet with mustangs who have had no previous handling. This course fits my learning style perfectly. I need to read in order to understand. I am able to read slowly, take handwritten notes, and reread any sections that I’m unsure about. I’m totally impressed. I used a few things from your five golden rules on my OTTB in a round pen and wow. She became calm, collected, quiet, and with the least amount of resistance she did everything I asked. I learned that I am the biggest reason my horse has issues under saddle and acts fearful around cars and other horses. I have already started to approach everything with him using the tools I am learning from you, and I can say that we are both improving. The information is well organized and presented in a very clear, direct manner. I also really like the reviews at the end of each section, as well as the videos where you demonstrate the rules. LOOKING TO TAKE YOUR LEARNING TO THE NEXT LEVEL? What are the differences between courses and a membership? 5GR and the other courses are a deeper dive into specific topics intended to give you in-depth information similar to if you were attending a clinic in person. We plan to expand our course offerings so continue to check back to see what’s new. The academy membership provides a wide variety of videos on various topics, designed to help answer your general questions and give you tips, tricks, and advice. How much is the 5GR course? Currently, the 5 Golden Rules Course is only available to members. We’re opening up the course to the public in the fall for $397, but as a member, you can grab it now for 10% OFF, if you pay in full. -Troubleshoot any situation you may encounter with your horse—from trailer loading to flying lead changes! This entire course is the culmination of my lifelong training journey. It’s packed with psychology and behaviorism concepts, intuitive leadership, emotional intelligence, trauma research, discussions of classical and current horsemanship methods, and so much more … And it’s available now for the first time ever! I can't log in to the www.mustangmaddyacademy.com site. If you are having trouble logging in, please send an email to academy@mustangmaddy.com with the details of the issue and we will help you as soon as we can. What is the 5 Golden Rules Book Club? The book club is a closed, interactive facebook group for those who have registered for the 5 Golden Rules Course. For serious students who want to see big changes, the 5 Golden Rules Book Club offers guidance, support, and accountability checks in order to achieve their horsemanship goals. The book club starts on August 13th and will run until October 8th. Registration for the book club closed as of Saturday, August 21st at 6 pm. No further book club dates have been announced. If you have missed the registration deadline and would like to be apart of the book club, we will be accepting students on a case by case basis. Phase I: Goal setting; Finding your area of measurable growth. Select one problem you have with your horse or a new behavior you’d like to learn. This should be specific; try to narrow your focus as best as possible. Find ways to measure your growth as well, using certain criteria. Unspecific example: I want my horse to relax/slow down undersaddle. Specific Example: I want my horse to canter around the arena 5 times without speeding up, on a loose rein. Submit a video of where you are at currently with the behavior; if it’s a problem, show the issue in the video. If it’s a new behavior, show the current point you are at with it. These videos should allow you to examine your progress throughout the course. This is an important part of being able to measure and celebrate your progress! Throughout the course, your focus will be to develop your own plan to go about solving this dilemma using the 5 Golden Rules. This is the whole goal of the 5 Golden Rules: to be able to use a formula to come up with your own solution to horse training situations. Think about cooking.. I could give you a million recipes to memorize OR I could give you my formula for creating a good recipe, and let you create your own! Who would be the master chef, the one who has merely memorized countless recipes or the one who has learned the guiding principles for creating recipes, allowing them to go out and make their own?! It is no different with horses. A master horseman (woman) is one who can use the guiding principles (aka 5 Golden Rules) to paint their own picture with their horse! You will submit your plan for approval as part of your “homework.” Once your plan is approved, you will begin to take action with your horse. In this phase, you will be applying the lessons you have learned throughout the course. If you run into roadblocks, you can ask other students their thoughts and ask me for my guidance in the live Q&A sessions. Because these Q&A sessions are more exclusive, you will have the chance to submit a video for review so I can see the specific issues you are encountering. Phase IV: Celebrate your progress! Once you have achieved what you set out to do, submit your results video. We will have a prize for the “most improved” horse & human team! This is a chance to celebrate your journey, the process, and the noticeable change in your relationship with your horse! I decided that I didn't want the 5GR course, can I get a refund? We want you to be happy with your purchase! If you are not happy, please email me within 30 days of purchase at academy@mustangmaddy.com and let me know. I will do my best to ensure you are satisfied.